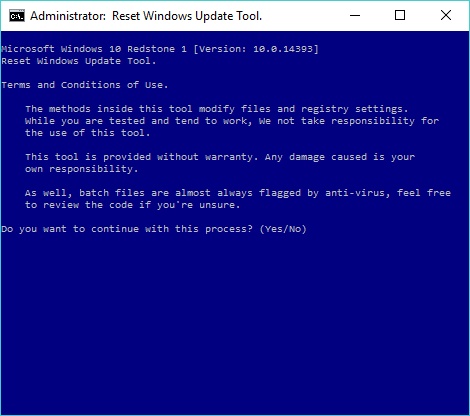 The Reset Windows Update Tool brings changes in its latest version. 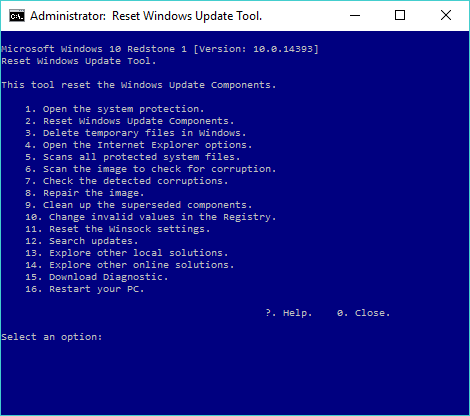 Changes have been made to the code, it is now compatible with Windows 10 Creative Update and a change is proposed to make it a complete executable tool. This script can be modificated to be compatible with others operative systems. Windows XP, Windows Vista, Windows 7, Windows 8, Windows 8.1 and Windows 10 RTM. 1,124 4,647 Manuel F. Gil <img src="https://www.oldergeeks.com/downloads/gallery/thumbs/ResetWindowsUpdateAgent2_th.png"border="0"> Jun 09, 2018 - 10:17 10.5.3.6 7.8KB ZIP , out of 18 Votes.